This is a waterline 1/700 scale resin kit by Combrig Models. 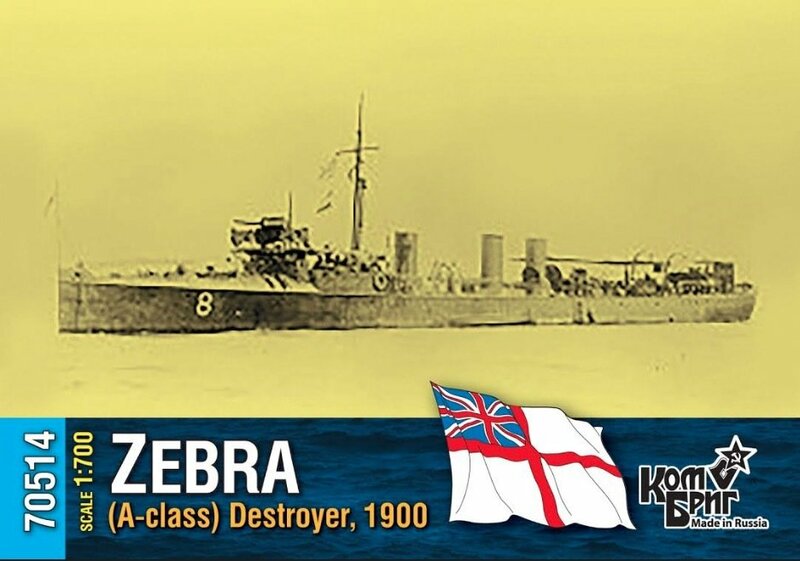 HMS Zebra was a "Twenty-seven Knotter" destroyer of the Royal Navy, later classified as part of the A Class. Zebra was built by Thames Iron Works and launched in 1895 as the fifth Royal Navy ship to be named Zebra. Entering service in 1900, Zebra was sold for scrap in 1914.